Montsalvat studio artist, Shinobu Kobayashi, is exhibiting in this year’s Studio Furniture 2018 Exhibition. AWR Studio Furniture 2018 is an exciting landmark exhibition produced and sponsored by Australian Wood Review magazine and Bungendore Wood Works Gallery, and presented by Felder Group Australia. One hundred and five submissions were received from Australia, New Zealand, USA, Denmark and Romania. 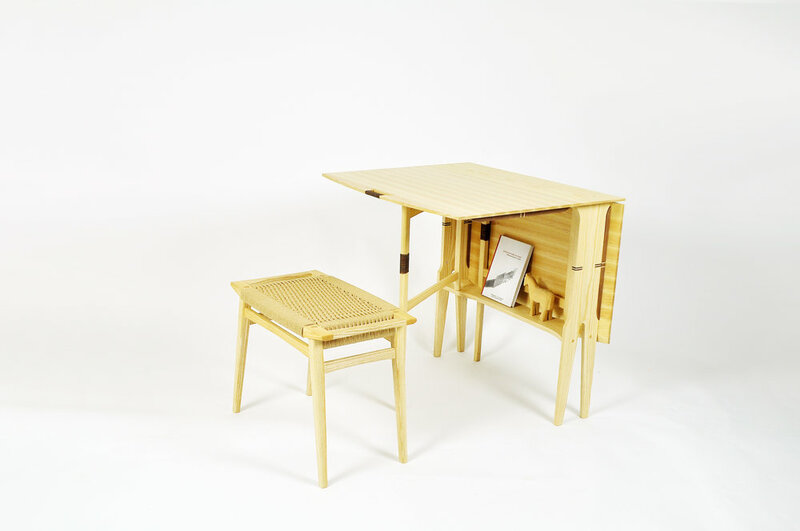 The works created by 70 shortlisted entrants include beautifully designed and handcrafted tables, drinks cabinets, drawer chests, credenzas, chairs, chaises, rockers, boxes, mirrors, lighting and wall hung cabinets. The exhibition will run from October 20, 2018 to January 31, 2019 at Bungendore Wood Works Gallery, NSW. All works are for sale. Bungendore Wood Works Gallery, NSW – $10,000, $3000, $2000 cash awards. Felder Award for Fine Woodworking – Hammer N4400 bandsaw valued at $3166. The George Ingham Fine Chair Making Award sponsored by Adrian Potter. Interwood Design Award sponsored by Interwood.